Strategic plan to serve as the blueprint for the district’s transformation work. 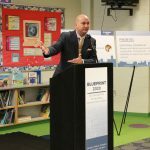 DETROIT – October 26, 2017 – The Detroit Public Schools Community District Superintendent Nikolai P. Vitti announced the unveiling of the Board approved new three-year strategic plan today at a news conference focused on five priorities: outstanding achievement, transformative culture, whole child commitment, exceptional talent and responsible stewardship. The plan includes the District’s new mission, vision, core values and priorities. The Detroit Board of Education approved the District’s new three-year strategic plan during a board meeting earlier this month. 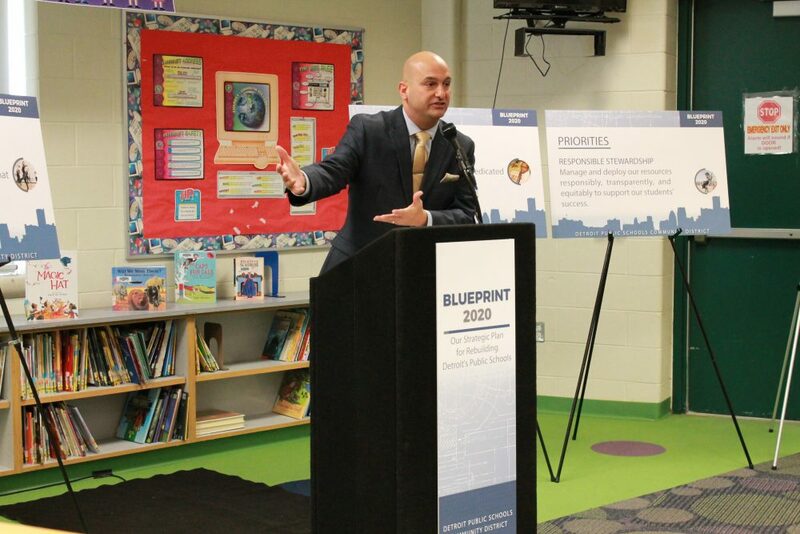 “I commend Dr. Vitti and his team for refining the board’s concepts, delivering them to the community for feedback and producing our newly adopted mission, vision and values,” said Sonya Mays, Treasurer, Detroit Board of Education. Feedback used to inform the plan was compiled from several focus groups resulting in the collection of 800 ideas. In eight days, the District hosted 15 meetings comprised of students, families, staff, teachers, and community stakeholders. A consistent message emerged: Every student deserves an excellent education and an opportunity for success in the City of Detroit. As a result, Superintendent Vitti will focus on five priorities that will serve as guideposts to lead the transformation work. Each priority is associated with strategies and metrics designed to evaluate progress and hold leadership accountable. “If we expect our students to be successful, we must deliver quality education at scale – where education is delivered equitably to all students – this includes implementing systems and processes to help guide and develop stronger wraparound services, safety improvements, a commitment to customer service, up-to-date curriculum in each classroom and professional development and support for all teachers and leaders,” said Superintendent Vitti. The District has more than 50,000 students enrolled in 115 schools across metro Detroit, making it the largest public education district in Detroit and Michigan.